There are many books written today that are set in Amish communities. It is always nice to come across one that is a standout. 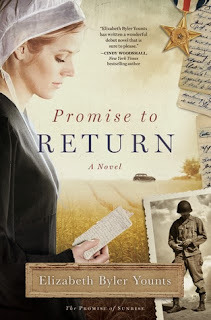 Promise to Return is a new novel, first book in a series called The Promise of Sunrise by Elizabeth Byler Younts. Sunrise is an Amish community in the Dover, Delaware area. This story explores the dilemma for Conscientious Objectors during World War II. It also looks at one of the difficulties of living in community. In the past, I have enjoyed fiction with a setting in an Amish community and much of what I have read makes the community appealing. There are clearly many advantages in the Amish lifestyle. Younts explores what happens when the individual does not follow the mores of the community. Younts tells the difficulties of one young couple, Miriam and Henry, both of who were devoted to their faith. They were planning to be married and wanted to follow the Amish Ordnung. Then Henry is drafted. Coming from a sheltered community, Henry went to a Civilian Public Service Camp. While he was there, for the first time he heard about the plight of the Jewish people in Europe and why the United States was fighting in the war. He believed that God wanted him to enlist and fight. Younts steers the story into an area that has the potential to affect most of us. In clear prose she shows the anguish that Henry and Miriam felt as they struggled with personal beliefs and community beliefs. She explores issues of love and betrayal, juxtaposed with trust and faith and looks at how Henry’s choice affected Miriam. This is not a book that falls within the genre of suspense; but I had trouble putting the book down. The path Miriam chooses does not become known until the end and the reader is not clued in as to what choice Miriam will make. This is a book that will make you ask yourself, what would you do? What if you believe God is calling you to something that goes against your Christian community standards? Younts has crafted a book that goes beyond most Amish fiction. I would love it if she publishes many more books in the series. I highly recommend reading it. I received this book from the publisher in return for a review. All opinions expressed are my own. When Henry returns home, he brings news that shakes Miriam and their Amish community to the core. He tells Miriam he believes God has called him to enlist in the Army and fight for his country, leaving her to make an important decision. She soon must choose between loyalty to the peaceful life she’s always known and her love for Henry and her faith in their shared destiny. Two worlds collide in this unforgettable debut novel, providing a fascinating and rare look into Amish culture during World War II. While Henry is battling enemies across the ocean, Miriam struggles between devotion to Henry and her love of the Amish way of life. One question is at the bottom of it all: will she follow her religion or her heart? Your review makes me want to get a copy of the book. I am interested in the Amish community and in the issues surrounding war, just as just war and pacifism. Good job. 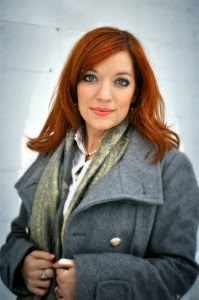 And, it is good to "meet" and learn about another new author, Elizabeth Byler Younts. I'm sure we'll hear more from her in the future, too. Sounds like a great book for my wife and I to read together. We love stories set in Amish backgrounds and the old west time periods.